In 2004 a developer approached the Shire of Kalamunda with a proposal to redevelop a large flat block in Wattle Grove into a group housing scheme for over 55 year olds. This proposal was effectively for the same number of houses that occupied the surrounding 700 hectares to be fitted onto 11 hectares, an increased housing density of 6500%. The image below illustrates what the development would look like. This development proposal was so large and so out of keeping with the area and the states long term future plans for the area that the shire alone could not approve such a development. In addition, the development would ultimately require the re-zoning approval from the state Minister for planning. 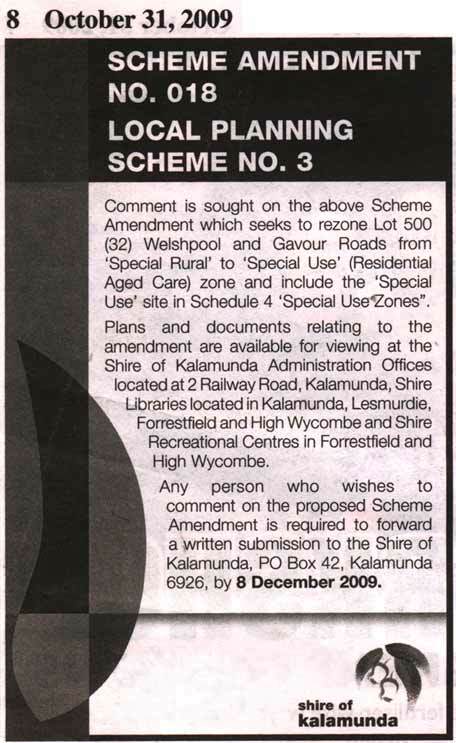 In 2004, the proposal was rejected unanimously by the Shire of Kalamunda. In spite of this, in 2007, with the employment of a new CEO for the shire and the election of some councillors who were known to be “supportive” of the proposal, it was once again put to the shire and the council for approval. Once again it was rejected. Similarly by May 2009 there had, coincidentally, been the election of still more “supportive” councillors and this time against threats of Supreme court action the shire finally capitulated and revisited the same proposal. This time the councillors voted in favour of sending the proposal to the State Planning Minister (John Day) for his opinions. The Minister gave consent to advertise the proposed scheme amendment. The Shire has resolved to rezone Lot 500 (against the wishes of the majority of residents in rural Wattle Grove) and we are still waiting to see if this will be approved by Planning Minister John Day. 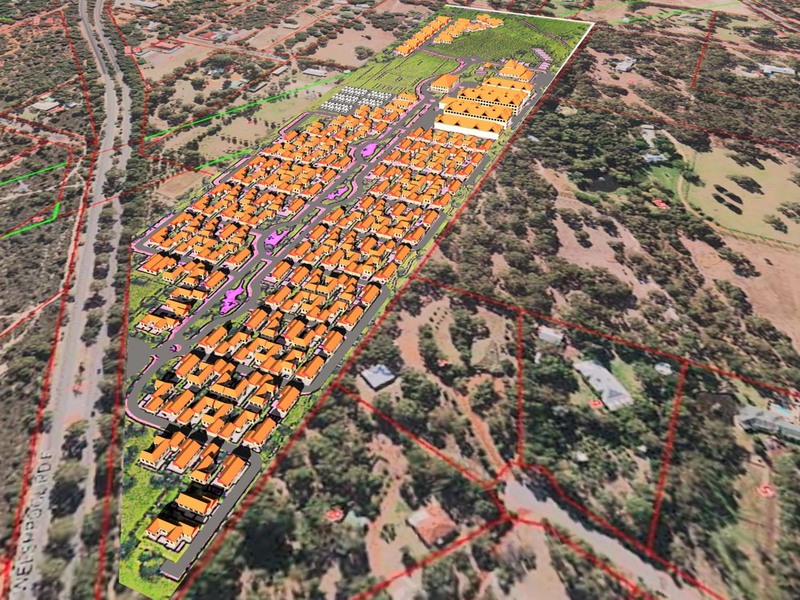 In addition, the Shire of Kalamunda have launched a Draft Local Planning Strategy (DLPS) which proposes to urbanise Wattle Grove East of Tonkin Highway (rural Wattle Grove). The DLPS is currently out for public comment and submissions are due in to the Shire of Kalamunda and the Western Australian Planning Commission by the 11th of August 2011. For help with writing your submission (takes only 2 minutes), visit the letter wizard. As this area is used on a daily basis by cockatoos (are there red-tails, and Carnaby’s?) I would think that the proponent is obliged to refer the proposed devt to the Federal Govt under the EPBC Act. If the proponent has not done this, then report that to the Dept of Environment, Water. (Fed Govt) Their investigation Branch will look into it and the proponent will have to refer the proposal, I think.